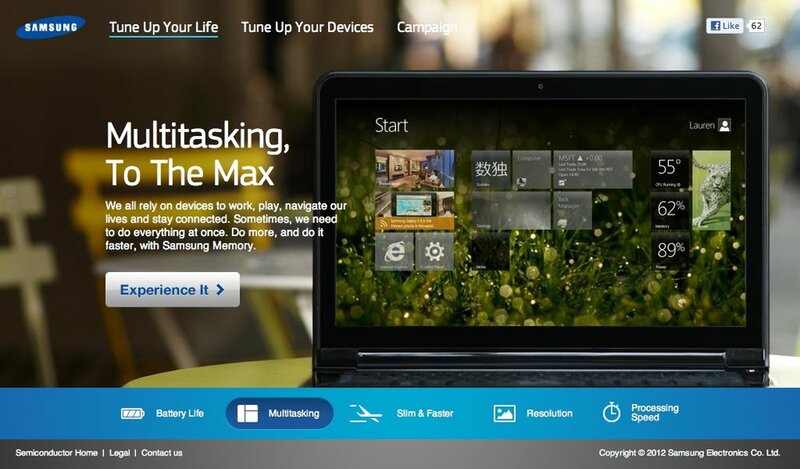 The Samsung Memory website highlights the benefits of the company’s memory chips. Core product benefits including longer battery life, increased reliability, and higher levels of performance were illustrated through a series of videos featuring characters that embody the pain point felt by tech users. 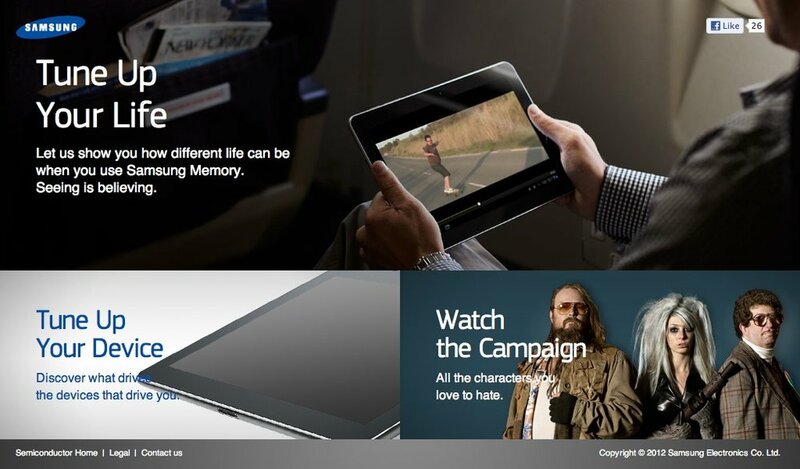 Samsung’s memory website featured head-to-head comparisons with competitor’s memory chips. A YouTube video campaign featuring “conspirator” characters like Battery Brutus, Fiona Freeze and Loading Ball Larry, who embody the pain points of users, was also created. The website leads with pain associated with choosing inferior memory chips, and helps consumers understand the functional benefits and differences of Samsung memory. A YouTube video campaign featuring “The Conspirators” who represent various pain points associated with inferior memory chips was produced. Battery Brutus, Fiona Freeze, and Loading Ball Larry were all created to illuminate the value of choosing Samsung memory.